21 Faces is The Down Syndrome Centre's annual campaign to celebrate the uniqueness and diversity of children with Down syndrome while also aiming to challenge some of the misconceptions along the way. 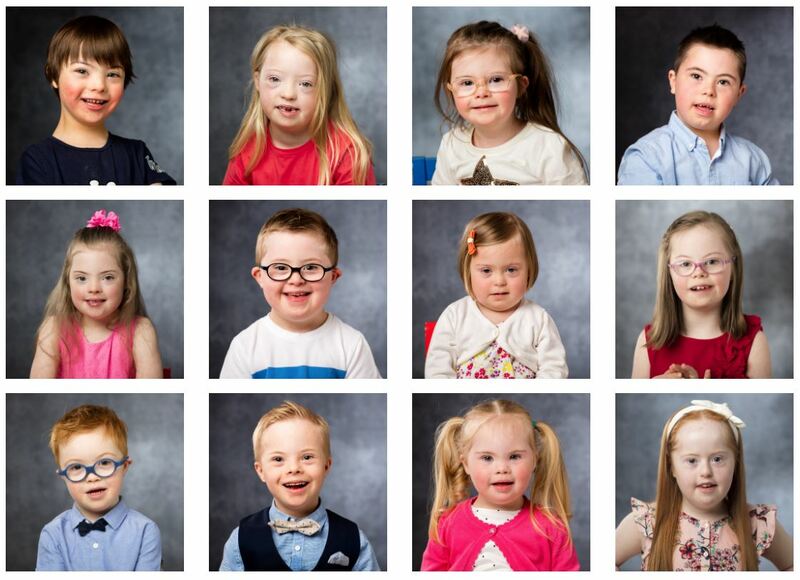 21 Faces, which is now in its third year, is about inviting the viewer to look past Down syndrome and to see the child; to see the individual and their potential – to take a second look! The centre is following through on their commitment and plan to follow, celebrate and record the development and progress of the children featured over a number of years under the 21 Faces banner. The children, aged between 2 and 11 years old, use the services of The Down Syndrome Centre. As well as celebrating the children’s development, 21 Faces also aims to personalise the discussion about Down syndrome and make a connection with people. By reading the children’s stories, viewing their family photos and getting a glimpse of their personalities and an insight into their daily lives, they hope to challenge some pre-conceived ideas about Down syndrome and to encourage the viewer to see the children for themselves – as children, first and foremost. Over the last year, the children in 21 Faces have continued to amaze and inspire. From performing on stage, passing exams, learning to type, winning awards for creative writing, Irish speaking and sports, speaking another language on holidays, modelling in a fashion photoshoot and acing their first year in primary school, the kids have gone on to do some incredible things. 21 Faces is proudly supported by Dunnes Stores who will display a 21 Faces photo exhibition in Cornelscourt Shopping Centre and 21 Faces posters in several of their locations around Dublin city centre from mid- July. The campaign is also supported by an in-bus poster campaign by Dublin Bus and an outdoor poster campaign by Irish Poster Advertising around Dublin City Centre – all happening from mid-July. 21 Faces is also supported by RR Donnelley who created the design of the campaign this year.